I was born in 1976, and came of age in Ronald Reagan’s ‘Morning in America.’ After reading Naomi Klein’s 2007 book The Shock Doctrine: The Rise of Disaster Capitalism, I feel as if a veil has been lifted from my perception of history, and the important events of my youth stand out in new significance. The story told in this important book centers around Milton Freidman, and the fundamentalist capitalist beliefs espoused at the University of Chicago School of Economics, where Freidman taught. The crisis that Freidman describes is crucial. To analyze how that crisis and the clean sheet are created, Klein uses torture as a metaphor, tracing the ghastly experiments at McGill University by psychiatrist Ewen Cameron, under the direction of the CIA (through its MK FrUltra program). The CIA provided grants to Cameron starting in 1957; at this point Cameron started upping the number of shocks to unprecedented levels, increasing the dosage of drugs, and experimenting with sensory deprivation and extended sleep. The CIA took the fruit of Cameron’s research and produced a handbook, Kubark Counterintelligence Interrogation, a secret manual on the interrogation of resistant sources. The CIA taught these methods to authoritarian governments including Chile, Guatemala, Honduras, and Iran. Argentina, Chile, and Bolivia were part of the first wave of the imposition of Freidman’s reforms, and those junta regimes used disappearances, as well as torture techniques from the Kubark handbook, to eliminate opposition to the implementation of reforms. 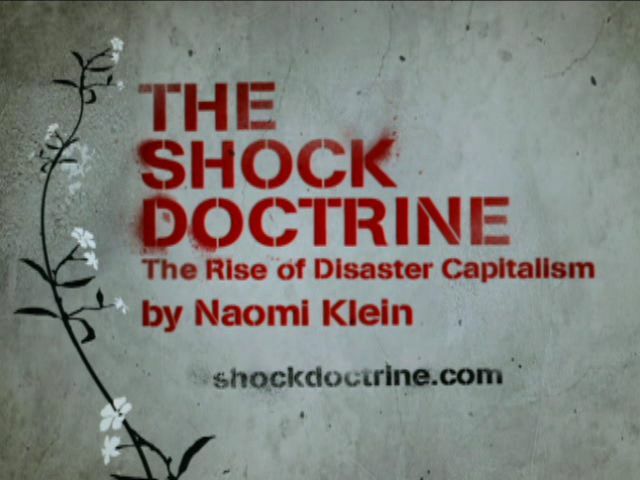 Klein also views the 1990s crises in China, Russia, and Asia through the lens of the shock doctrine, and closely looks at the role of the International Monetary Fund in creating the necessary shock condition. Ultimately, Klein turns to 9/11, Iraq and Sri Lanka to show the rise of disaster capitalism as a global movement. 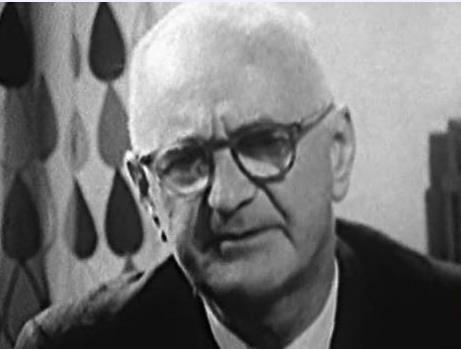 In the 1960s, at the University of Chicago, Freidman saw a United States where its capitalism was tainted by “interferences” (fixed prices, minimum wage, public education); while they may have provided benefits to the public, these interferences polluted the equilibrium of the market and inhibited market signals. Freidman and his fellow Chicago economists (including his mentor Friedrich Hayek) wanted to purify the market, to get rid of these interferences. 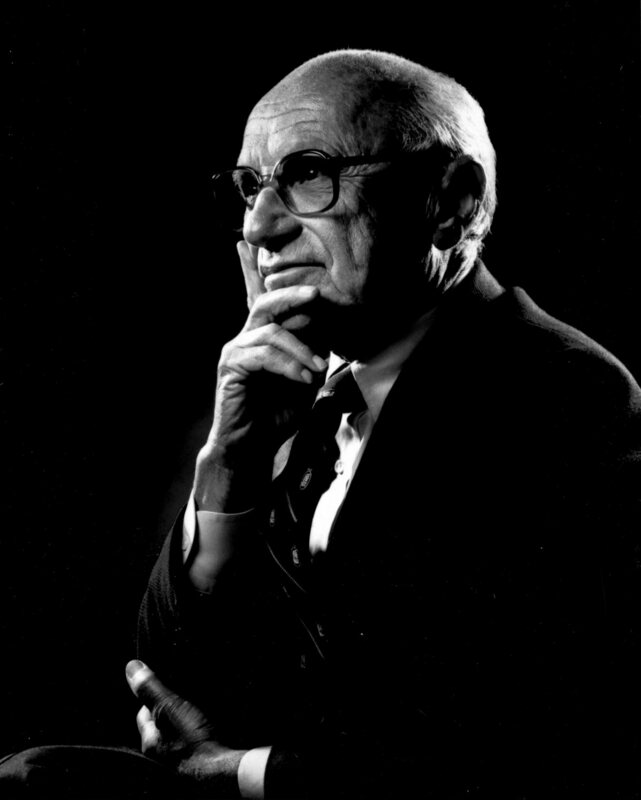 Friedman saw the mixed economy supported by John Maynard Keynes as the enemy to be defeated. Freidman’s prescription was as follows: remove as many rules and regulations as possible, privatize most state assets, and cut back most social programs. Taxes should be low, and flat, if they should exist at all. Protectionism was sacrilege to Freidman. The invisible hand should determine prices, and there should be no minimum wage. These were bold steps to take, even in the capitalist United States. In order to prove his theories, Freidman would have to demonstrate them in the real world. He found a laboratory in Chile, one of the Developmentalist, mixed economies in South America that sought to find a middle road between the Cold War economic extremes. These economies were linked around the United Nations Economic Commission for Latin America, based in Santiago Chile, and headed by economist Raul Prebisch. In the 1950s and early 1960s, the Developmentalist economies prospered, and nurtured a burgeoning middle class. However, American multi-national companies like Ford convinced the United States government create a program that, starting in 1956, educated 100 Chilean economists at the University of Chicago. These Chileans, indoctrinated in Freidman’s fundamentalist beliefs, were unable to change Chile, however, without America’s help. After the 1970 election of leftist Salvador Allende, the new government promised to nationalize sectors of the economy that were being run by foreign corporations. President Nixon declared a virtual war on Chile through the Ad Hoc Committee on Chile, which included ITT, owner of 70% of the Chilean phone system. 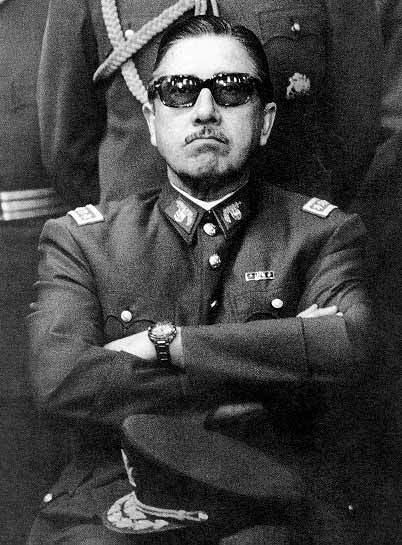 Ultimately, in September 1973 General Augusto Pinochet took power in a military coup, but before the coup, the Chicago boys prepared a set of laws and regulations known as “The Brick” which went into effect immediately, a 500 page economic bible full of deregulation, privatization, and social spending cuts. Unfortunately, by 1974, counter to the expectations of Freidman and the Chicago Boys, inflation doubled to 375%. The Chicago boys argued that the medicine wasn’t strong enough, and Freidman himself came to the country in 1975 to personally make the same case. Freidman urged another 25% spending cut, and even more deregulation. Unfortunately, in the next year the economy contracted by 15%, and unemployment reached 20%. In fact, the economy did not start to improve until 1982, when Pinochet was forced to follow Allende’s advice and nationalize many companies. Ultimately, the real legacy of Freidman’s prescription in Chile was that by 1988, 45% of the population had fallen below the poverty line, while the richest 10% had seen their incomes increase 83%. But it wasn’t just poverty that eviscerated the middle class; Pinochet used the techniques in the Kubark manual to torture prisoners, who instead of being arrested, were “disappeared.” In fact, the CIA trained Pinochet’s security forces, along with those in Uruguay and Argentina. Ultimately, in South America, that was the effort required to create a tabula rasa: military coup, economic shock, and torture. Klein’s conception of the Shock Doctrine is most clear when she looks at the brutal dictatorships in South America, as well as South Africa’s transition and Russia’s paradigm shift in the 1990s. Klein’s analysis of Russia under Yeltzin is powerful. I was in high school and college during those years, and my impression was formed from the jingoistic American press. Klein makes clear that the IMF and Jeffrey Sachs, economic wunderkind, produced the kind of pressure that resulted in tragedy and mass killings. However, Klein’s argument loses coherence when she looks at China, the United States, and Sri Lanka. In the United States, Klein makes the leap from Freidman laissez-faire economics to the privatized homeland security apparatus. I applaud the critique of Donald Rumsfeld, a Freidman acolyte, but it doesn’t fit the overall thesis. In China, Klein describes the protestors as resisting the free market reforms of Deng Xiaoping. Klein argues that most of the protestors opposed free market reforms, and that Xiaoping attacked those protestors to quell the rebellion and implement reforms while the Chinese population was still in shock. This narrative is historically tenuous, at best. However, the larger point of Klein, particularly as demonstrated in South America, is valid. Freidman’s fundamentalist free market reforms require a tabula rasa, and the middle and lower classes will naturally oppose the lowering of their standard of living. In order to create the tabula rasa, some level of force will be required. The research that Ewen Cameron completed at McGill University is particularly troubling, especially in light of the torture that the United States implemented in Iraq. In fact, Iraq is a Pandora’s box that should continue to produce troubling revelations. Hopefully, those revelations will remain in the public consciousness the next time that we want to create the kind of fundamental change that President Bush wanted to in Iraq, that General Pinochet wanted to do in Chile, and that dictators have long sought to do in the name of the free market. Posted 02 Apr 2011 by theaveeditor in Misc. I am grateful to have observed this site. Keep up the great postings. This was a beautiful blog article, informative and simple to read. Thank you for a great weblog submit, exactly where can you find all your facts? I’m joyous that yahoo has presented me to your http://handbill.us/?p=2742 .The style of presenting your point of view is awesome! Carry on the good job! Another great article! Definitely can’t wait for more! Hey, great article Do you think Digg is going to pass this along? I will surely list my like for this! at times any time I go through content articles similar to this I actually wish to consider a second and reflect on all of them. Sweet site, super design , rattling clean and employ friendly . Hi I am so glad I discovered your website, I truly found anyone by error, while My partner and i was researching on Askjeeve for another thing, Nonetheless I’m here right now and would just like to declare cheers for the incredible post along with a all around enjoyable blog site (We also enjoy the theme/design), I don’t have time to look over everthing at the moment but I’ve got bookmarked it and as well included your own RSS for, so when i have time I will be back to learn to read a lot more, Please do sustain the fantastic work. I’ve thought about posting something about this on my site. Good job! Can I put a link to this post – http://handbill.us/?p=2742 – in my blog?